'The Year of Mud' is a natural builder's story of his first cob house, a home constructed largely of natural, local materials, many literally straight from the earth. A documentary story and inspirational guide for other individuals wanting to create more sustainable, simple, human homes. Lots of pictures, cob lessons and recipes and a detailed report of how Ziggy built his home. 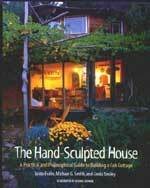 The Hand-Sculpted House is theoretical and philosophical but intensely practical as well. 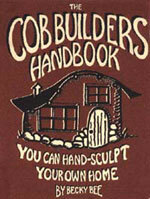 You will get all the how-to information to undertake a cob building project. As the modern world rediscovers the importance of living in sustainable harmony with the environment, this book is a bible of radical simplicity. This book will appeal to bakers, builders and beginners of all kinds, from the serious or aspiring baker who wants the best low-cost bread oven to gardeners who want a beautiful outdoor kitchen to creative people interested in low-cost materials and simple technology. 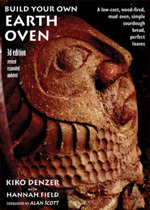 Build Your Own Earth Oven is fully illustrated with step-by-step directions, including how to tend the fire, and how to make perfect sourdough hearth loaves in the artisan tradition. Clear concise, informative and instructive. Anyone who wishes to understand the rational as why cob was used for construction; or is embarking upon a restoration project should buy this book before starting work. 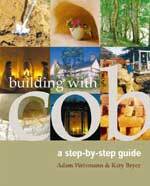 It helps understand the pitfalls of restoration work and helps to ensure the continued life of a Cob building. 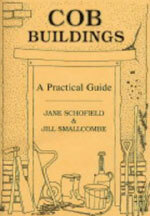 'Building with Cob' shows how to apply this ancient technique in a wide variety of contemporary situations, covering everything from design, mixing, building walls, fireplaces, ovens and floors, lime and other natural finishes, and gaining planning permission and building regulation approval. Ramming earth has been a method of construction for centuries in many parts of the world and the technique can produce buildings that are strong, durable, safe and desirable. Because earth is an abundant and cheap resource, rammed earth buildings are often very economical. The right techniques for the selection and testing of soils must be used to protect walls from water damage and shrinkage. 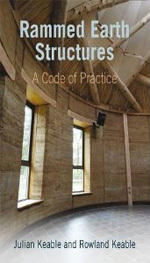 This book shows how high standards can be achieved and the criteria on which rammed earth structures and building techniques can be judged. Since the first edition of this book was published, Rammed Earth Structures has been adopted as a Building Standard in Zimbabwe. Further progress is being made extending the use of rammed earth as an officially sanctioned building material across all SADC countries. This book is now therefore becoming an important guide and resource for those wishing to employ this economical and low-carbon building material in the construction of public as well as private buildings in Africa and elsewhere..
Duane Newcomb takes you through every step of the process, from selecting a site, obtaining building permits (USA), drawing plans, excavating, and making bricks to finishing the interior. 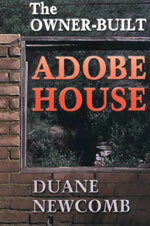 This book details every aspect of various types of adobe houses and includes information on plumbing, electricity, heating and cooling, fireplaces, flooring, and the framing of windows, doors, and roofs. With sixty-six detailed drawings and photographs accompanying the instructions, this book is the basic manual in the field and is invaluable to both the novice and expert homebuilder. 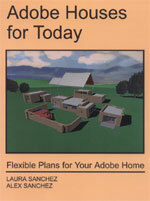 Features 12 plans for compact, beautifully-proportioned adobe homes in modern and traditional styles. Yet the book offers much more. The richly illustrated text shows how the basic houses, designed for today's smaller families, can be as flexible as a set of building blocks. Intriguing drawings demonstrate how readers can expand and adapt the plans to fit their own budgets, family sizes, style preferences, and building sites. 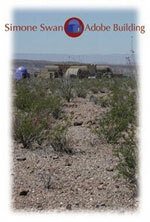 In the late 1990s, Simone established the Adobe Alliance in the Big Bend area of West Texas in order to realize low-cost housing in the border region. The Alliance has since constructed houses that demonstrate the innovative use of earthen materials to create a new building standard for environmentally compatible, sustainable homes and communities. 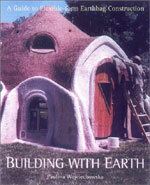 This informative book on earth construction demonstrates how to build a structure, cheaply and robustly with earth using the earthbag technique. Paulina, using excellent illustrations and photographs, details every step of the process from design of the walls, buttresses, foundations and roofing, to the particularities of setting out the building on site, and its construction. A comprehensive guide to all the tools, tricks, and techniques for building with bags filled with earth. A four-year project, this book is profusely illustrated with photographs, drawings, and technical diagrams, and based on years of experience in building with earthbags.